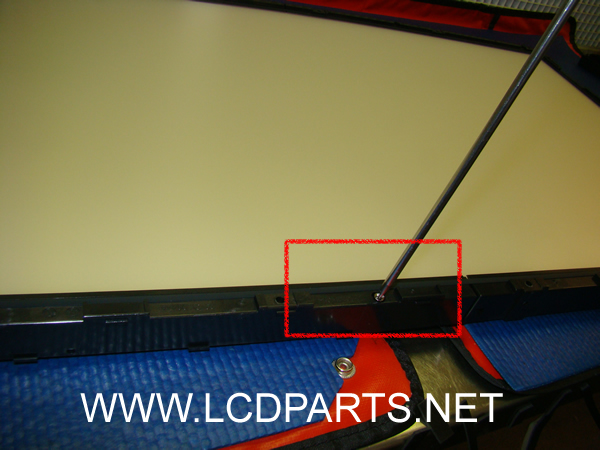 Please go through this procedure before you replace the CCFL backlight lamp, especially, if you have never done it before. 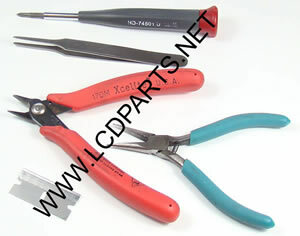 Looking for instrctruction, please Click here to visit our Instruction page. 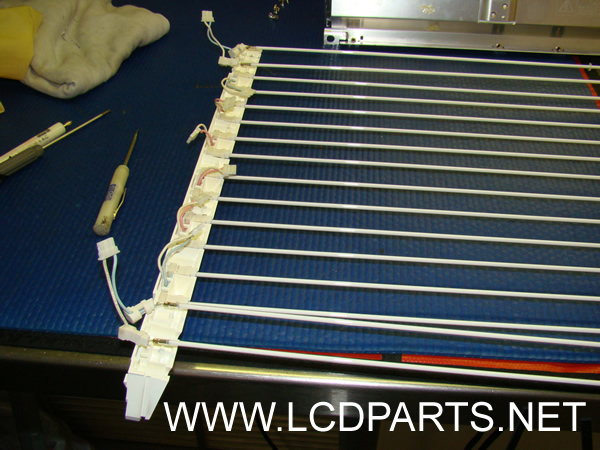 *CCFL is an extremely small Fluorescent lamp and you must handle them with extra caution. 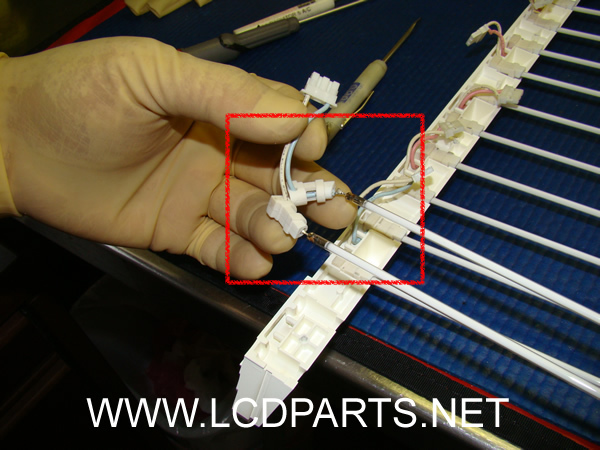 *Replacing CCFL Lamp requires a basic soldering technique and patients. 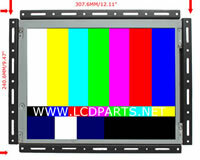 This sample instruction is based on AUO T296XW01 LCD TV Panel. 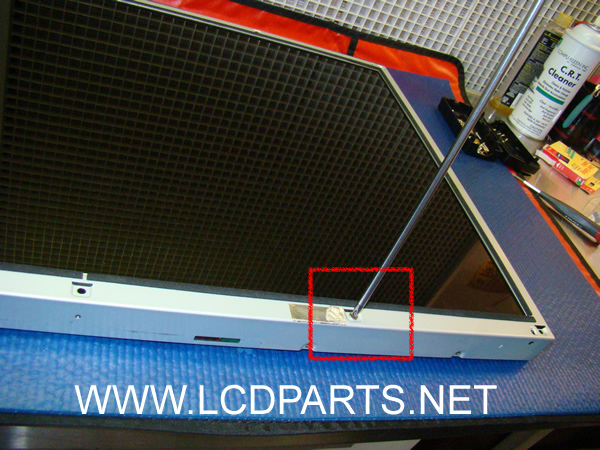 First, set the pnael face up, remove the screws. 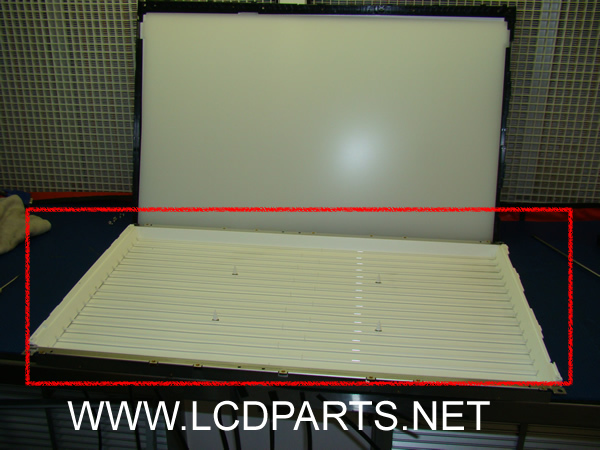 Set the panel face up, peel off the tape. 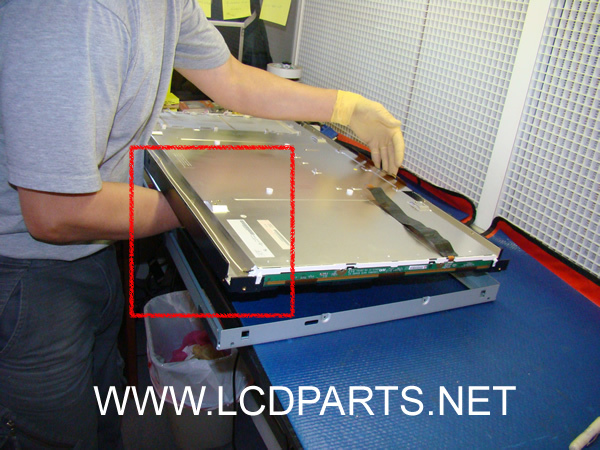 Do not stretch or pull any Row and Column Driver (TAB). 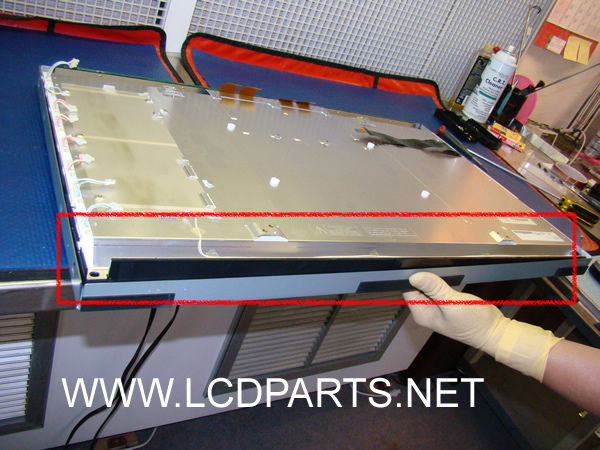 Set the aluminum base face down, remove the CCFL wire. 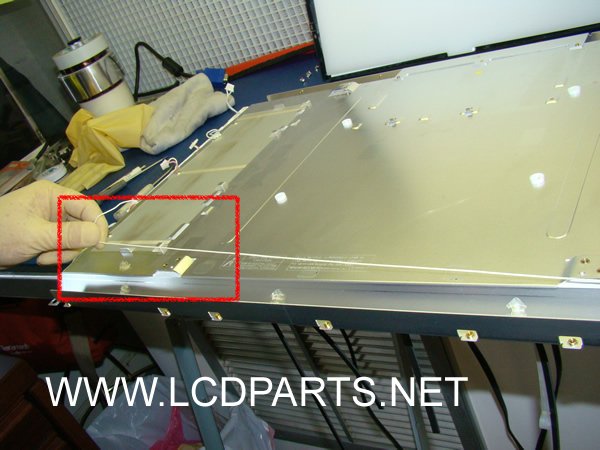 Set the aluminum base face up again and remove the CCFL lamps. 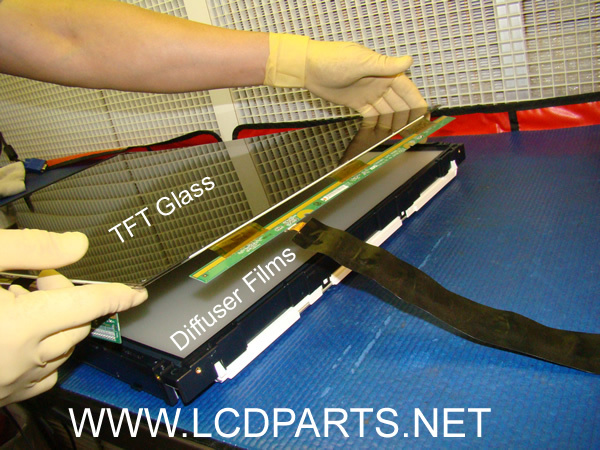 TST01 – custom build for testing 4 wires, 5 wires and 8 wires resistive touch screen. 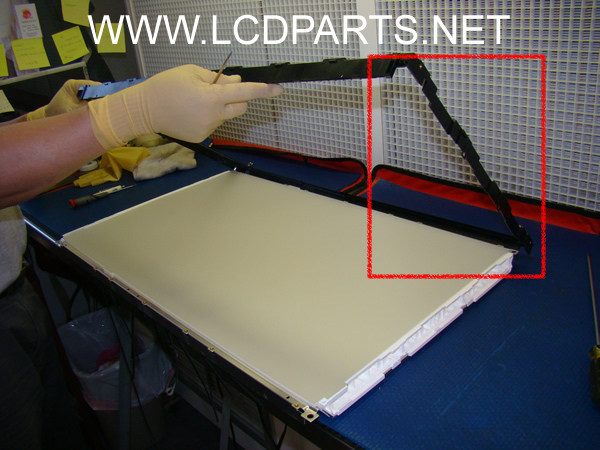 LST01 is a custom build tester for Laptop screen repair; it can help you to isolate the problem between CCFL Backlight Lamp and Inverter in seconds. IT01 is design to test multiple backlight lamps inverter; it is capable to test any type of inverter up to 6 lamps at the time! 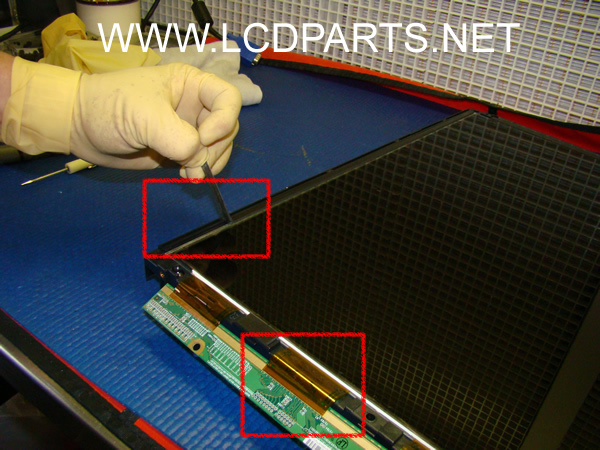 The advantage of this custom build tester is that, you can apply any input voltage through DC Jack to test inverter from Laptop to LCD TV inverter. 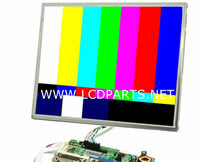 UB series are the direct replacement for Industrial LCD screens that were originally equipped with dual or 4 CCFL backlight lamps.